Nadia specializes in Swedish Massage. N. Immersed from my youngest age in the world of sports, the body has become a fascination for me at an early stage. Becoming a massage therapist allowed me to learn how it works and to use this knowledge to help people improving their condition. Also, working with patients allows me to meet individuals from various universes, which is highly enriching. 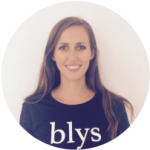 N. Blys is the incarnation of the modern application of massage. Dynamic, responding to people’s needs and promising, this company is offering a good alternative to the classic massage industry and an easy way to connect people. N. From the relaxing approach of massage to the real relief from a special pain, massage is the definition of wellbeing. Life is hectic, and the care and relaxation that touch can bring to a stressed body is considerable. Whether it’s pain, sleep disorders or anxiety, massage is a much better alternative than any medication! N. It was from a grieving patient who lost her husband. She was feeling heavy and hadn’t been touched for a while. She felt lighter and she said she hadn’t felt like a proper individual for months. Very rewarding. N. My favorite spot in Sydney is Bondi Beach. I especially like going to Marks Park, from which you have a beautiful view of Bondi Beach and Tamarama. Sunsets are very often astonishing. That’s why I’m in love with Sydney.